In all my years of doing Friday Night Lights football Heroes, I do not recall ever saluting a female athlete. The main reason for that is the fact very few girls play football. Today is different…...and very special. I have chosen to step outside the box one time and lead off Friday Night Lights Heroes with young lady that my family has known since she was little girl. I have never seen this girl perform on the athletic field, but the feat she pulled off in a game against Hastings a week ago deserves a huge salute. Fellas, if you wouldn’t mind, we’ll let the lady go first. After all, that’s what your Mom taught you to do anyway, right? 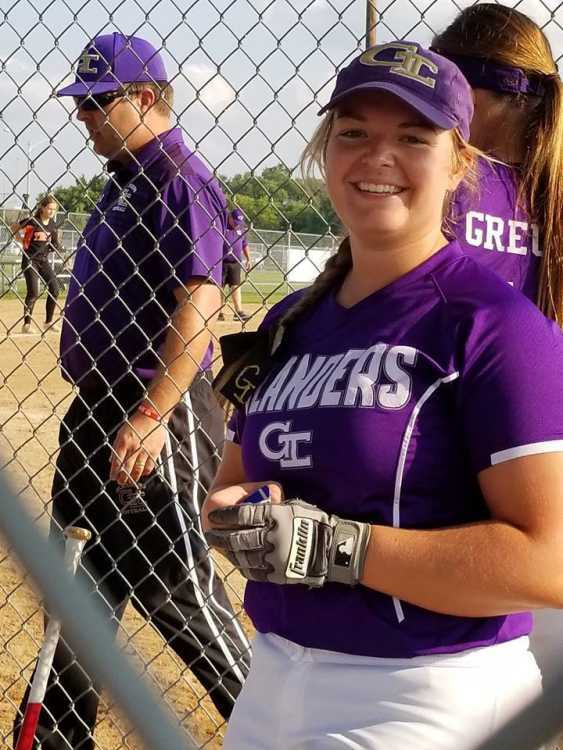 ***Kylee Sodomka - Grand Island Girls Softball - The Islander softball senior did something in Grand Island’s 14-2 win over Hastings last Tuesday in the opening game of a double-header you just never see. Kylee clubbed, not One, but Two three-run Home Runs…..in the same inning. Sodomka’s round trippers, both monster blasts, sent Hastings to the visitors dugout, ending the game after 3 innings. The powerful Catcher/DH sent a moonshot into the GI sky, ending the game by the mercy rule in the bottom of the 3rd.. Two 3 Run jacks and 6 RBIs in one inning. Not a bad short day’s work, Kylee. The thing that makes this entire thing so special is the fact I have known Kylee’s family my entire life, but it’s all been connected to music. Kylee herself, is a terrific trumpet player. Her father Dan, is the band director at Aurora and one of the finest tuba players in the state. Her grandfather Norm Sodomka, her private teacher, is a well-known brass virtuoso and one of the best in the business. 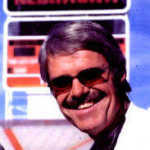 I have worked with both Norm and Dan on my band and and numerous other orchestras. So where did Kylee’s softball talent come from? That remains a mystery, but what I can tell you is that not very many gals tomahawk two three run homers in one inning. Bravo, Kylee Sodomka, keep ‘em coming. *Lane Edis - Mullen - A bigger and even stronger Lane Edis peppered Hemingford with 380 all-purpose yards in the Broncos 52-12 win last Friday. Edis not only rambled for 210 yards on 21 carries and 3 TDs, but unveiled a new Mullen offensive weapon...Lane Edis the pass receiver. Lane only caught three Brady Gracey aerials, but two went for touchdowns. The Mullen star also had 14 tackles on defense, and also logged 57 return yards and ended up scoring 30 points in the route. Lane Edis possesses brilliant career stats. How does 4,105 rushing yards, 4,865 all-purpose yards and 92 career touchdowns grab you? But, there’s one record young Edis is still chasing and that is Dad’s (Wade) single season rushing record at Mullen...2,728 yards. Stay tuned for that one. *Dalton Freeman, Brett Tinker, Carson Oestreich - Pierce - Who’d a thunk it? All three of these gentlemen rushed for over a 100 yards in the Bluejays 48-29 thumping of defending Class C-1 state champion, Norfolk Catholic. Freeman led the charge with 166 yards on 16 carries and 4 touchdowns (8,1,1, 22 yard runs). Brett Tinker followed with 118 yards on 13 carries and a sparkling 74 yard TD sprint, and Carson Oestreich (pronounced “A-Strike”?) chipped in 116 yards/16 carries and 2 scores. (31, 6 TD receptions). The Bluejays amassed an amazing 433 yards on the ground and 544 total against one of the traditionally toughest defenses around. *Zander Gray - Omaha North - The Dancing Bear bullied his way for 236 yards on 36 carries and a 47 yard scoring run, but it wasn’t enough to lift the Vikings over Creighton Prep, who won the Thursday night season opener, 12-7. The three year Omaha North standout now has 3,410 career yards and 46 TDs. The dude looks virtually impossible to hold under a 100 yards rushing in any game. *Joseph Krause - Seward - Four year starter came through like the veteran he is, in the Bluejays opening night 35-27 win over a good Waverly team. The skillfully experienced Krause connected on 20 of his 30 pass attempts for 279 yards and three long TD passes. Senior Brett Meyer caught only two passes, but both were touchdowns (54, 50 receptions) while Carson Core was the favorite target of Joseph Krause, catching 5 balls for 77 yards and a 56 yard touchdown reception. The Seward QB has now completed 238 of his 434 career tosses for 3,875 yards and 34 TDs. Solid, man. *Bryce Zimmerer - Creighton - The Bulldog flash helped make Zac Kliment’s Creighton coaching debut a successful one. Bryce charged for 290 yards on just 21 carries and scored six times in the 62-38 win over a very salty Wakefield football team. Zimmerer’s touchdowns came on runs of 15, 16, 5, 54 and 3 yard runs. He also scored on a 5 yard pass reception. Zimmerer is one of two returning 1000 yard rushers for this Creighton squad. The other is QB Derek Wortman, who ran for 1,245 yards and 26 TDs in 2017, much of that total coming after Zimmerer had suffered a season ending injury. Awful tough football team here. *Isaiah Harris - Millard South - Helped make the long-awaited 2018 Millard South season opener a joyful occasion for Head Coach Andy Means. Harris, a 5-11, 170 junior blasted his way for 201 yards on 26 carries with TD sprints of 68 and 6 yards in Millard South’s 27-0 whitewashing of Gretna. Isaiah set the tone for the game by bolting 68 yards right up the gut on the 2nd play from scrimmage. The electrifying junior also caught two passes for 20 yards and was so effective in the game, he ended up accounting for 220 yards of the Patriots total 257 offensive yards. *Connor Clayton - Norfolk - Panthers found a first class pass receiver in 5-10, 180 senior Connor Clayton during their 35-14 win over Columbus. Clayton pulled in 9 receptions for 133 yards and a pair of touchdowns covering 6 and 47 yards. QB Brandon Hart did the honors with the TD passes to Connor Clayton, who also booted a 24 yard field goal 1:15 before halftime. *Keaton Van Housen, Dylan Soule - Osceola/High Plains - 5-10, 180 pound junior rambled for 200 yards on only 14 totes (14.3/per) in the new co-op’s 66-34 victory over Palmer. Van Housen scored 4 rushing TDs and also hit the end zone on a sparkling 79 yard kick return. Soule, the 5-10, 170 pound junior QB and multi-sport ace, also got in on the 100 yard rushing act by scooting for 146 yards on 18 carries and a pair of TDs. Osceola/High Plains compiled 396 rushing yards for the game. On the defensive side of things, another junior, 5-11, 180 pound Tanner Kropatsch was a huge factor with his 16 tackles. *Dylan Kautz - Norfolk Catholic - Nebraska’s fastest human was a shiner in the Knights 48-29 loss to Pierce. The three-time 1000 yard man zipped for 173-21 carries and TD runs of 62 and 8 yards. *Clark Riesen - Chadron - 164 yards...13 carries….3 touchdowns in a 38-12 win over Gordon-Rushville. *Luke Fairbanks - Wahoo Neumann - Big 6-0, 190 pound FB bolted for 106 yards and 3 touchdowns in the Cavs 33-7 victory over Boys Town. Eli Vedal added a pair of touchdown passes, one a 45 yarder to Jake Unger, the other a 32 yard strike to sophomore Spencer Wiese. *Mitch Wingard, Nate Mensick - Milford - The super-charged Wingard ran for 185 yards on 16 carries and hit paydirt with runs of 40, 44 yards in Milford’s 43-0 win over Falls City. QB Nate Mensick added 132 yards on 11 totes and TD runs of 60, 16, 29 yards in the shutout. He also threw a 9 yard scoring pass to Nate Hostetler. *Ryan Arnold - Diller-Odell - 6-1, 180 pound quarterback accounted for Nine touchdowns in the Griffins 72-46 win over Southern. Arnold, a senior all-state candidate, rushed 14 times for 204 yards and five TDs (1, 23, 47, 5, 46 runs) and completed 9 of 13 passes for 204 yards and another four scores. All 4 touchdown passes were caught by William McLaughlin covering 18, 60, 50 and 30 yards. *Dayne Hinrichs - Giltner - 134 yards rushing and 5 touchdowns (1, 1, 10, 23 yard runs + 38 yard Pick 6) in the Hornets 46-28 win over Henderson Heartland. *Tyler Palmer - Columbus Scotus - Crafty QB’s first half touchdown runs of 10 and 35 yards gave Scotus a 21-7 lead and was enough of a shock to Aquinas to allow the ‘Rocks to eventually hang on to a 23-21 opening night victory over the Monarchs. *Jase Williams - Burwell - Big 185 yard junior bolted for 153 yards on 23 carries and short TD runs of 1, 4 yards in the Longhorns 35-0 blanking of a very fine North Central team last Thursday. Williams was a 1000 yard rusher as a sophomore if you recall. *Kyle Smith - Allen - 6-0, 190 senior blitzed Cedar Bluffs for 227 yards on only 15 touches and 4 touchdowns. Smith, who ran for 1,419 yards in 2017, is one of 8-Man football’s best running QBs. *Grant Pease - Stuart - Junior exploded for 180 yards on 19 touches and 5 touchdowns in the Broncos 72-8 pummeling of Niobrara-Verdigre. Stuart’s defense held N/V to a minus 30 yards total offense for the game. *Kobee Olson - Hyannis - Tough-as-nails Kobee punished Arthur County with his 253 yards on 18 carries and six TDs. Olson also had 10 tackles in th 71-55 Six-Man win. *T.J. Roe - Brady - 5-10, 150 pound junior quarterback was all over Paxton in Brady’s 58-22 win. Roe ran for 239 yards on 26 carries and 4 TDs and hit half of his 18 passes for 167 yards and a touchdown with no INTs. *Cole Fossenbarger - Johnson-Brock - All-State quarterback candidate connected on 16 of 21 passes for 245 yards and 4 TDs in Johnson-Brock’s 50-18 win over Elmwood-Murdock. Fossenbarger also returned a fumble 62 yards for a score in the game. Fossenbarger’s TD passes were caught by Dylan Rowe (8 yards), Ty Hahn (5 yards), Kaden Glynn (62 yards) and Freshman Caleb Fossenbarger (46 yards), who also returned a kickoff 70 yards for a score. **Jared Minnick - West Point Guardian Angels CC - Just another (half) day at the office for Minnick with his 165 yards on 14 carries and 4 TDs in GACC’s 68-14 route over defending D-1 champion East Butler. *Connor Pohlmeier - Plattsmouth - 59, 140 pound junior escaped for 177 yards on 23 touches and two scores in the Blue Devils 40-29 loss to Blair.